Hi, I’m Kara, and I’m a tea-aholic. The majority of people I know have their morning ritual that involves brewing a fresh cup of coffee or espresso, or heading to the closest Starbucks for the roast of their choice. Me? I take solace in the early hours of the day hearing that one-decimal-too-loud whistle from my tea kettle. Yes, it’s true – I’m the girl that invites you to catch-up over coffee but then orders tea. Don’t get me wrong, I love that haunting aroma of coffee. It’s just never been too kind to my stomach, whereas tea, is gentler but I can still brew a strong cup to give me that caffeine perk I need in the morning to jumpstart my day. As an avid tea drinker, I’ve been excited to see articles stating that “tea is the new coffee” and research boasting its health benefits and antioxidant properties. With the increasing interest in functional food and beverages, it’s no surprise to me that antioxidant-packed tea is making its way into baked goods on bakery shelves and sauces, rubs, and marinades on restaurant menus. 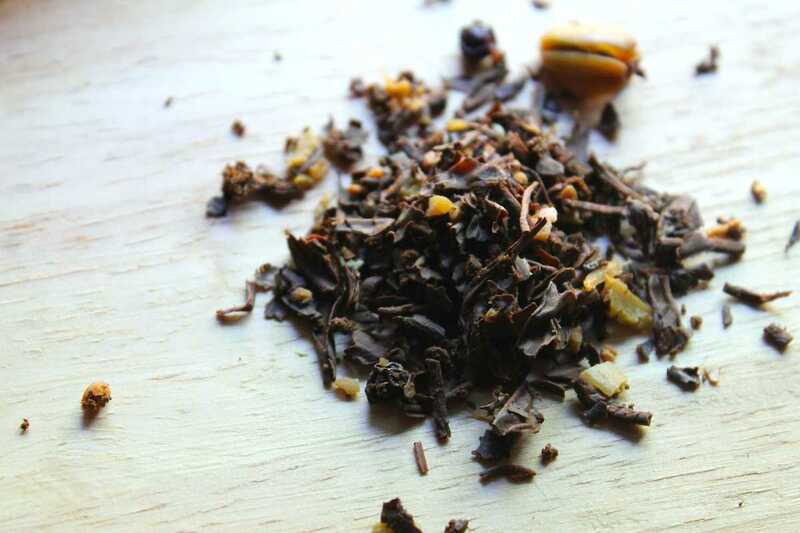 As a huge fan of this loose-leaf trend, I was thrilled to see that this month’s Recipe Redux challenge was to embrace the bubbling up world of tea and to stir up some healthy tea-inspired dishes. Every morning I sip from my mug filled with black tea (typically either English or Irish Breakfast) but an extra special treat to me is savoring a chai latte. Someone described the taste of chai to me once as “Christmas morning” and while I can’t exactly put into words what that means, I got it. There’s something oddly comforting and holiday-like about the spices that compose chai tea – cinnamon, ginger, cloves, and cardamom. My first (and most fond memory) of a chai latte was at the late breakfast/brunch spot in Buffalo called Solid Grounds (RIP my favorite brunch spot), and I remember they topped the extra large ceramic mug brimming with piping hot chai with fresh whipped cream and dusted it off with ground cinnamon to boot. 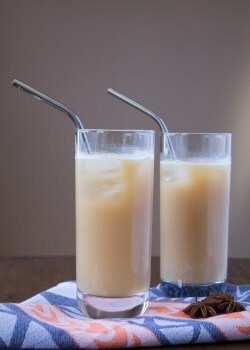 There was nothing better than that chai latte in my opinion. 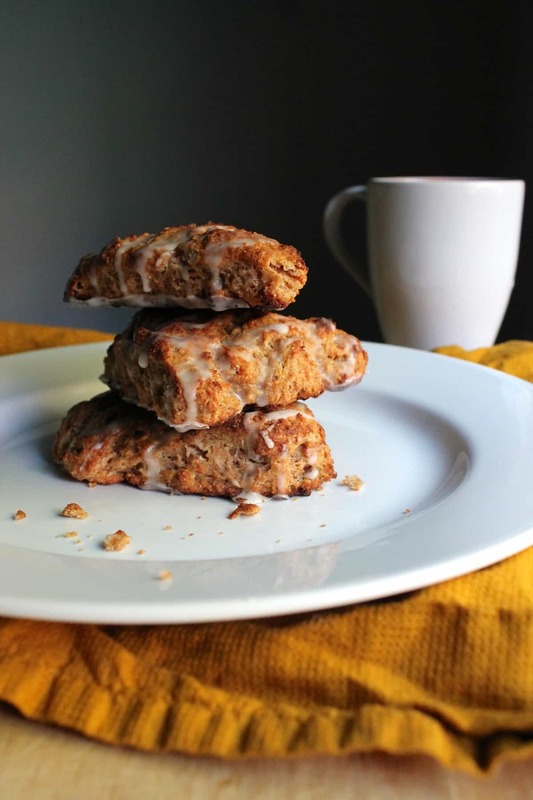 In memory of my first favorite tea experience, I decided to get back to my chai roots and bake masala chai tea scones. Boil water in small sauce pan. Remove from heat and add loose-leaf tea. Steep for at least 10 minutes, until cool. Strain. Preheat oven to 425 degrees. Line baking sheets with parchment paper. In a food processor*, add flour, baking powder, salt, and butter, and pulse to combine (pieces of butter should be no larger than pea-size). Transfer to large bowl. 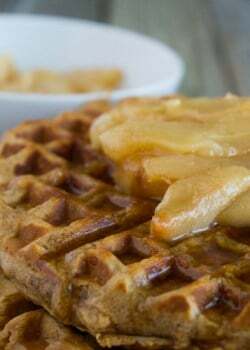 In a medium bowl, combine tea, egg, agave nectar, and vanilla. Mix together. Fold in yogurt and be careful not to over mix. Add wet mixture to the dry and stir to combine. Turn dough onto floured surface and pat into a 1-in thick circle. Cut into 8 wedges. 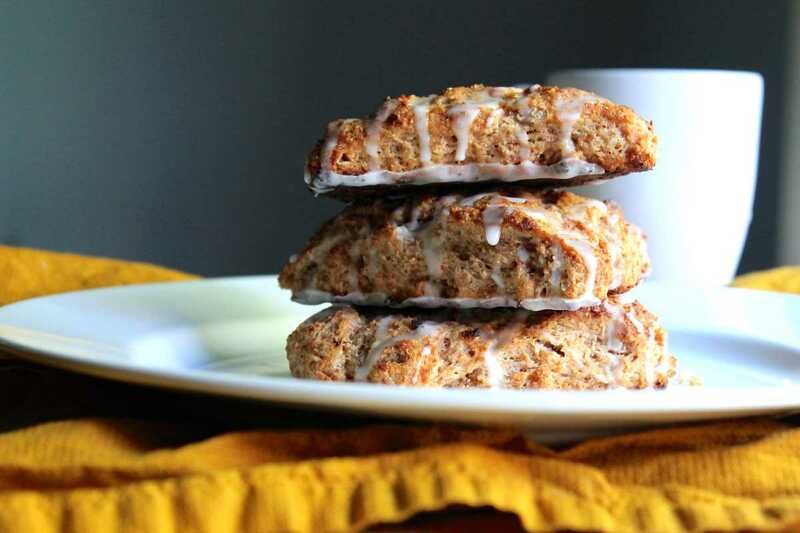 In a small bowl, combine cinnamon and sugar and sprinkle lightly over scones. Bake scones for 10-15 minutes, or until golden brown. Let cool on wire rack. While scones are cooling, whisk together milk, confectioners sugar and vanilla to make glaze. Drizzle over cooled scones. *A blender or a fork can be used instead of a food processor. Now this is my kind of scone! PS Your photos are so fun! 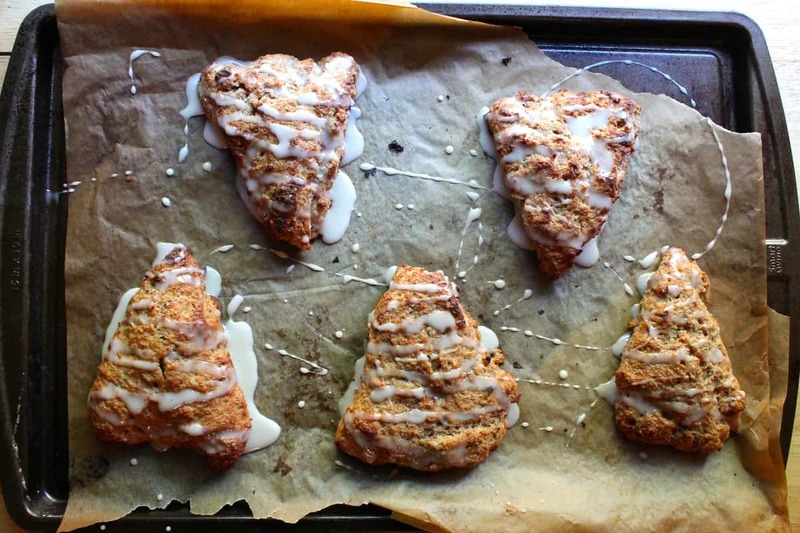 I like lots of foods….but 2 of my fave foods are certainly scones & chai tea. 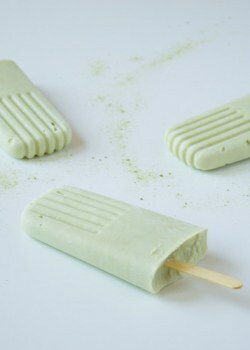 (: So I WILL be baking a batch of these. I’m right there with ya, Serena! Enjoy! Hi I am an intern with Meal Makeover Moms and I helped make their Tea party Pavlovas! I love your recipe for these tea scones! I can not wait to try it! Oh my, can I come over for one of these please? 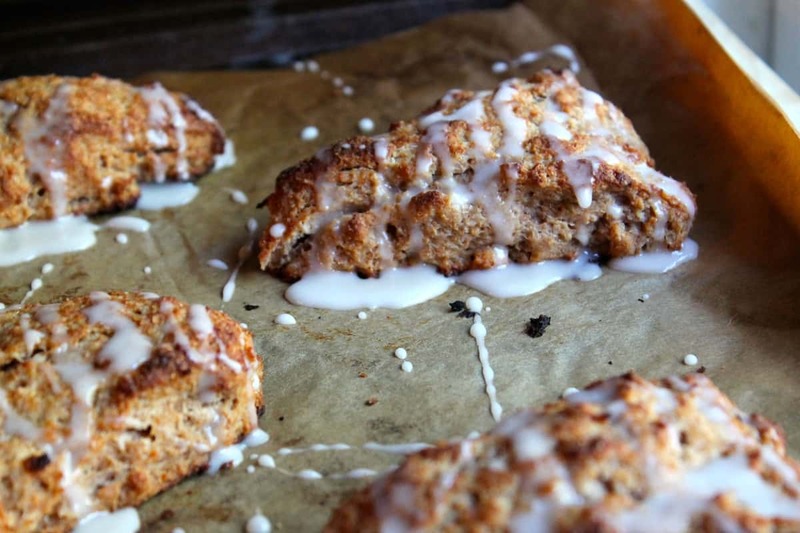 Have been craving a good buttery scone and these look delish. Yum! I love scones and haven’t had one since Jan when I changed to a gluten free diet. I wonder how well this would tweak to be gluten free? I’m sure you could try substituting the whole-wheat flour with all-purpose gluten-free flour. You may need to tweak slightly by adding another egg or more yogurt for additional moisture. Let me know how it turns out if you try a gluten-free version! this is why we’re friends–because we’ll both say “let’s get coffee” and then get tea. same-same but different. we’re also friends because you just used same-same in a sentence.